Who among us hasn't used eBay to buy something on the cheap, or to sell something that has been deemed surplus. We all have our eBay success stories, as well as our horror stories. But the one thing I still find almost unbelievable is the amount of aircraft being sold through eBay auctions. Prior to buying 27W, our family Cherokee 235, I spend nearly a YEAR scouring Trade-a-Plane and the Internets searching for the right bird. It had to have the right avionics, with the right amount of hours on the engine. And of course, it had to be at the right price. 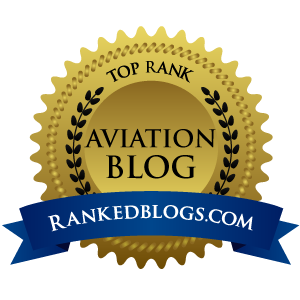 Once I found 27W, I did a serious amount of due diligence through the FAA databases, and only after determining there were no holes in the service record – and that NDH really meant No Damage History – I scheduled a meeting with the plane and its owner for some quality face time. It was at that meeting on the ramp at Fresno Air Terminal that I finally got to run my hand across Katy's wing, down her prop and across her fuselage. I got to poke my head under the cowl and look at every nut and bolt on the plane's sparkling newly rebuilt Corona Cylinder's Lycoming 0-540. At this meeting I also saw some things I didn't like – like some battle-scars on the wheel pants – things I would never see while inspecting digital photos of 27W on the web or email. 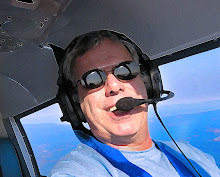 And most of all, I got to fly her, possibly the most important aspect of a pre-buy because any pilot can tell if a plane is out of rig with about 2/10ths of a second as PIC. 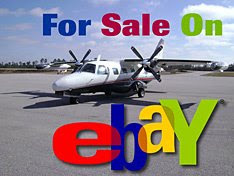 There were 12 bids for a 1977 MU2 Mitsubishi Turboprop Twin, with the current high offer at $244,100. There were 19 people fighting it out for a 2002 Cirrus SR22, with a high of $165,100. But if you want to aviod all that bidding stuff, this bird can be snapped up with a "Buy it Now" price of $199,000. There was a couple of bids for a 2006 Cirrus Aircraft SR22-GTS with A/C and ice, currently topping out at just over $260 large. I though the 1968 Baron D-55 Aircraft with 400 hour engines looked like a steal at $49,950, and $80 grand for a Velocity 173RG also looked like a deal. "Because of this type of “conditional” sale, the high bidder will not want to part with his money until he is satisfied that the aircraft is as represented. To handle this type of transaction, it is common to use the services of an Aircraft Escrow Agent. The Agent’s role is to hold the Seller’s documents and the Buyer’s money until certain pre-conditions are met and then the Agent will release the money to the Seller and the Documents to the Buyer. That concludes the transaction." Would I buy a plane off eBay, yes, maybe, if there was an out such as this...a way to back out of the deal if the plane isn't as advertised. Still, I think I'm too "old school" to fully buy into online aircraft auctions, even though lots of people clearly have. I need to see and touch something expensive that I'm considering buying...crawl around underneath, look between the seats for evidence of smashed candy bars. I look for heavy wear on the rudder/brake pedals, proof that the last dude did a bit of stompin' when he lands...evidence that maybe more then a few of those arrivals weren't covered in grease. So have fun, go crazy shopping 'til you drop on eBay. Maybe you'll snap up a bargain and laugh all the way to the bank.